The Arts Foundation’s first awards recognised New Zealand arts laureates. Each year an independent panel drawn from the arts community selects the five people who will get the award. Shown here is the first group of laureates (awarded in 2000). 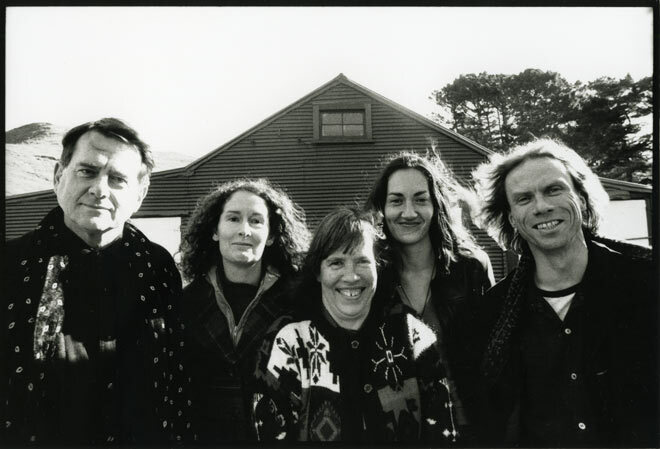 From left: Peter Peryer (photographer), Elizabeth Knox (writer), Gillian Whitehead (composer), Briar Grace-Smith (playwright) and Douglas Wright (dancer and choreographer).